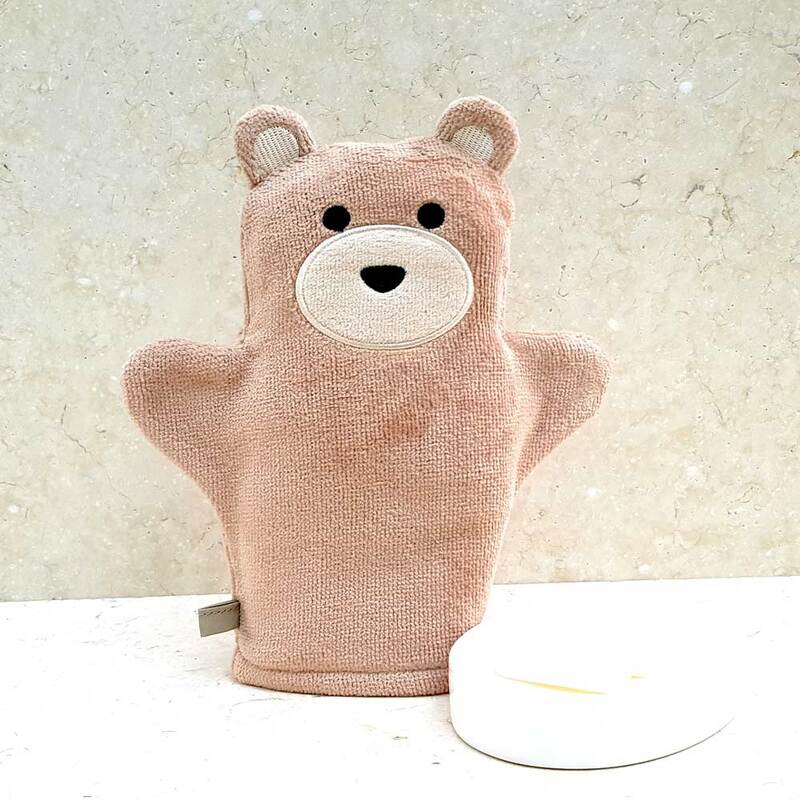 Bathing Bunnies is very excited to welcome Toffee Teddy baby towel into the 'family'. 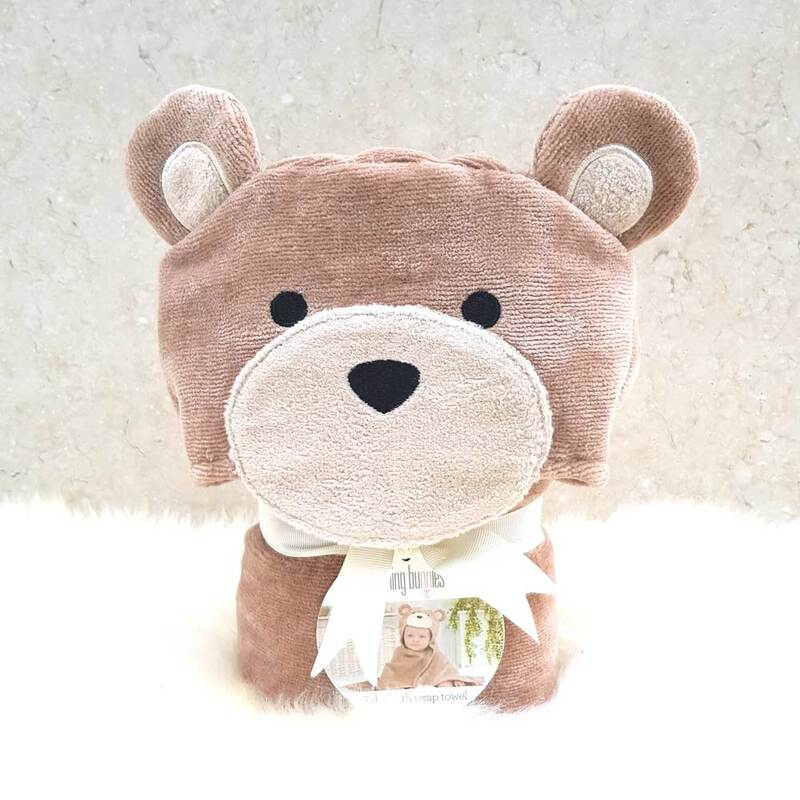 Toffee Teddy is our first ever Bathing Bunnies brown bear and has already won our heart! 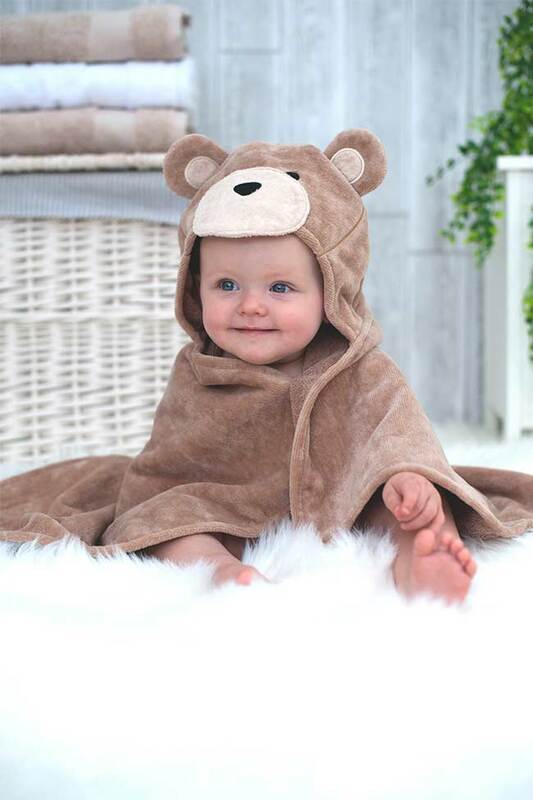 Toffee Teddy is made in super-soft, neutral shades of mink towelling and features soft round ears. 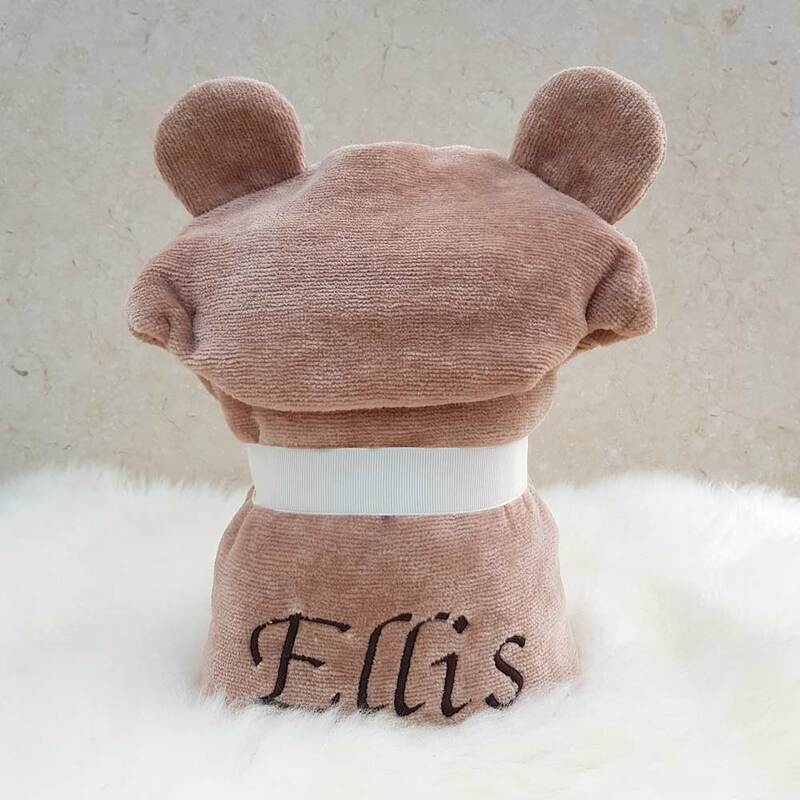 Baby towels make the perfect baby shower presents and newborn baby gifts for christenings, birthdays and Christmas. 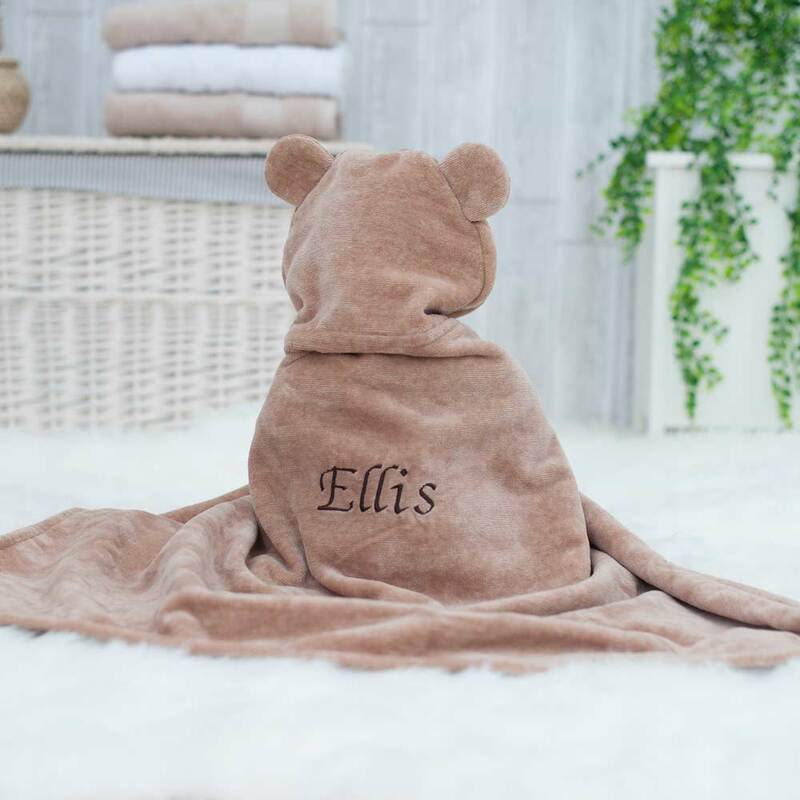 The hooded towel is cleverly folded and beautifully presented with a cream ribbon to create a freestanding soft 'toy'. 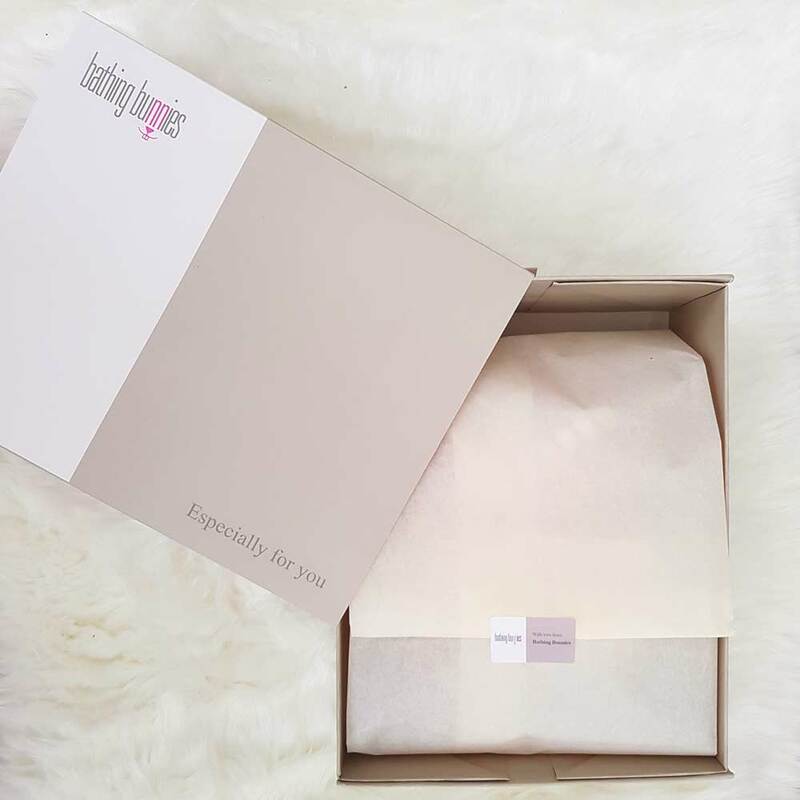 Gorgeous and the recipients will love it. Nicely packaged and as description/pictures. A fantastic towel! It’s just as it looks on the website. 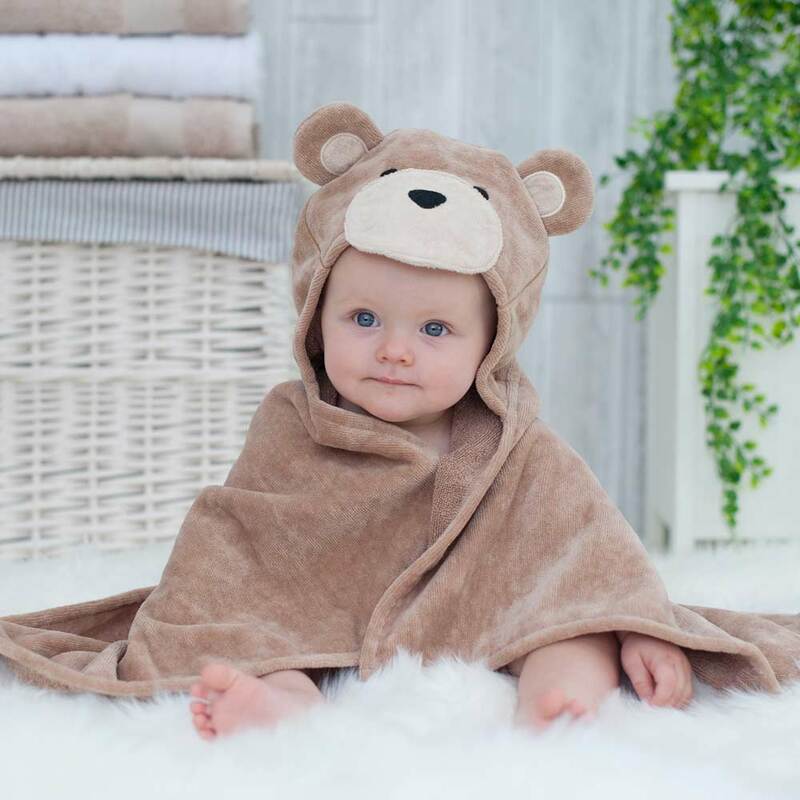 It’s really soft and comfortable and my little boy loves having it wrapped around him after bath time and he looks absolutely adorable in it. Thinking of buying again as a gift. I highly recommend this product!